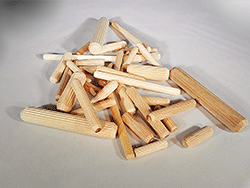 Made in North America - Multi-groove / fluted wood dowel pins are made of Birch or Beech and kiln-dried to 6 - 8% moisture. 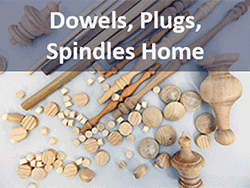 *Images show our dowel pins in stock, bagged in quantities as small as 100 pieces. Many more dimensions available by special order. 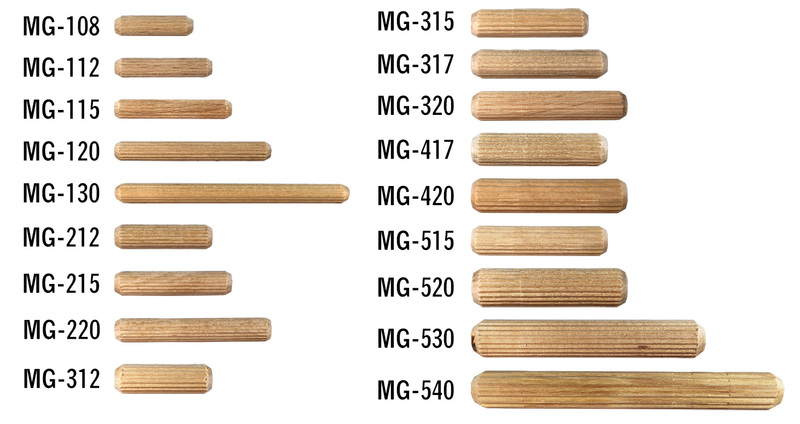 Here is a great selection of multi-groove (fluted) dowel pins. 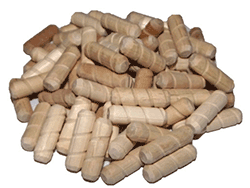 Whether you need 100 pieces or 100,000 we can provide you with quality North American made wooden dowel pins. 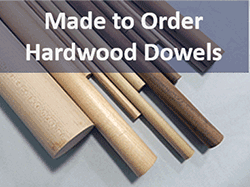 Dowel pins are used across all types of wood working, cabinet making and more to create a strong connection. We are proud of the wooden dowel pin selection and incredible quality we offer to our customers in convenient quantities as small as 100 pieces. 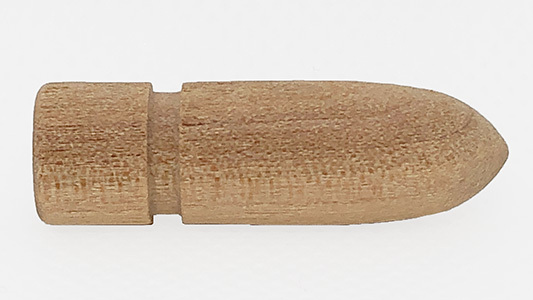 • Fractional Sized Fluted Dowel Pins: From 1-1/4" X 1" up to 1/2" X 5" - Shop below. • PRE-GLUED Fluted Metric Sized Dowel Pins range from 6 x 30 mm to 8 x 50 mm in stock, plus many more options by special order. Our diameter tolerance is +/- .005" for Multi-Grooved / Fluted dowel pins. Can't find a wood dowel pin you require? 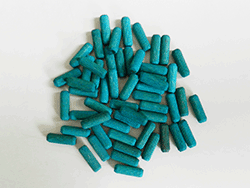 Contact us - we can probably find it for you at a fantastic wholesale price.